The secondary sector of the economy is what most people call the industry. Its a key sector in most of the world economies and it led important changes in society during the industrial revolution. 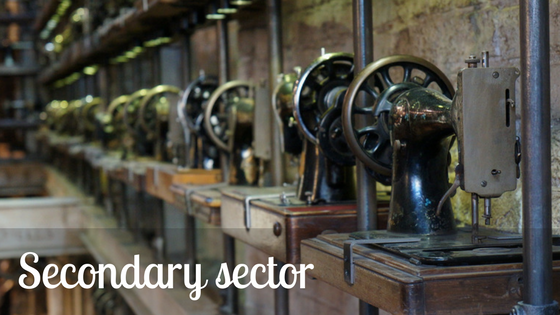 What is the secondary sector? The secondary sector or secondary economic activity definition: it includes economic activities that create finished products for consumption (consumer goods). It takes the production of the primary activities and manufactures new end goods. Usually, the secondary activities are divided into two sectors: light industry and heavy industry. Light industry is mostly labor intensive and does not require large quantities of raw materials or large areas for production. It is also more geared towards producing for the end consumer than for other companies. Usually, light industries have a lower environmental impact than those associated with heavy industry, they are also more likely to be near residential areas. The economic definition of light industry is manufacturing activity that uses a moderate amount of partially processed products to create goods with a relatively high price per unit weight. Food manufacturing such as dog and cat food manufacturing, flour and rice milling, and malt, breakfast cereal, chocolate and confectionery, frozen food, dried and dehydrated food, ice cream and frozen dessert manufacturing, etc. Beverage and tobacco product manufacturing such as soft drink and ice, bottled water manufacturing, wineries, breweries, and distilleries. Textiles mils, textile product mills, apparel manufacturing, leather and allied product manufacturing. Heavy Industry refers to the production of large-scale goods with a large-scale manufacturing process. In this type of industry, the use of capital is intensive. It employs a lot of raw materials, facilities, and areas for production. Petroleum and Coal Products Manufacturing such as petroleum refineries, asphalt paving mixture, asphalt shingle and coating materials manufacturing. Chemical manufacturing such as petrochemical, industrial gas, synthetic dye and pigment, and ethyl alcohol manufacturing. Also pesticide, fertilizer, and other agricultural chemical manufacturing. Iron and steel mills and ferroalloy manufacturing, steel product manufacturing, alumina and aluminum production and processing. Agriculture, construction, mining, and industrial machinery manufacturing. 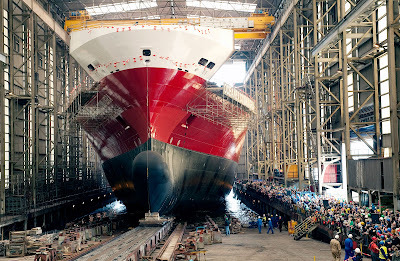 Transportation Equipment Manufacturing such as motor vehicle body and trailer manufacturing, aerospace product and parts manufacturing, and ship and boat Building. World industry is concentrated in United States, China, Europe, Japan, India, and South Korea. Ligh industries are located in urban areas, while heavy industries located mostly outside urban areas. Depends on raw materials from the primary sector of the economy. Economic Activity explains basic economic concepts and interesting economic profiles in plain English. What is the secondary sector? it includes economic activities that create finished products. Definition, characteristics, examples: light and heavy industries.